Essay papers are the most frequently assigned tasks students have to face in colleges. Any type of essay is usually a short piece of writing that includes some profound reflections on a specific subject or topic. Though it is rather short, the complexity of the paper is obvious. It requires gathering and analyzing a lot of relevant information throughout research on a particular question, which in its turn takes a lot of time. Together with a limited deadline, these are the reasons to get quick professional help from Papersmaster.com. 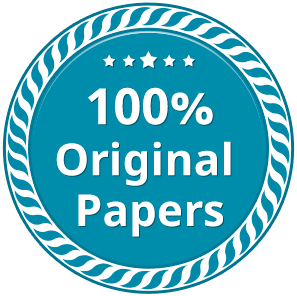 What kind of research paper essays do you need? As you may know, “essay” is just a general name. This paper differs by various types according to the purpose of your research. We understand that you may not distinguish all of them in their nature and get confused when looking for help at Papersmaster.com. Thus, we would like to highlight and give you a list of the most common essay types you may need to write. Persuasive or argumentative essays (frequently they are called similarly). Process essays, critical writing essay papers, and expository. Cause and effect along with compare and contrast essays. If the list above doesn’t include what you are looking for, that’s ok. We listed just a part of all different types of essays. Be sure to get master help from our experienced native writers with any kind of essay you are assigned. There are no limits for us in terms of essay paper writing. We believe that you also shouldn’t be limited by the deadline, suffer from conducting research or writing them according to different formats. Leave all of your essay research paper troubles to us and enjoy the most convenient service for you! 100% original essay without grammar or lexical errors. Formatted and edited text to the standards. Paper prepared by native authors only. Get your paper done by the deadline you specify yourself! We guarantee to deliver it promptly!